Sometimes a girl just wants to wear pink, and for this girl...that is very seldom. 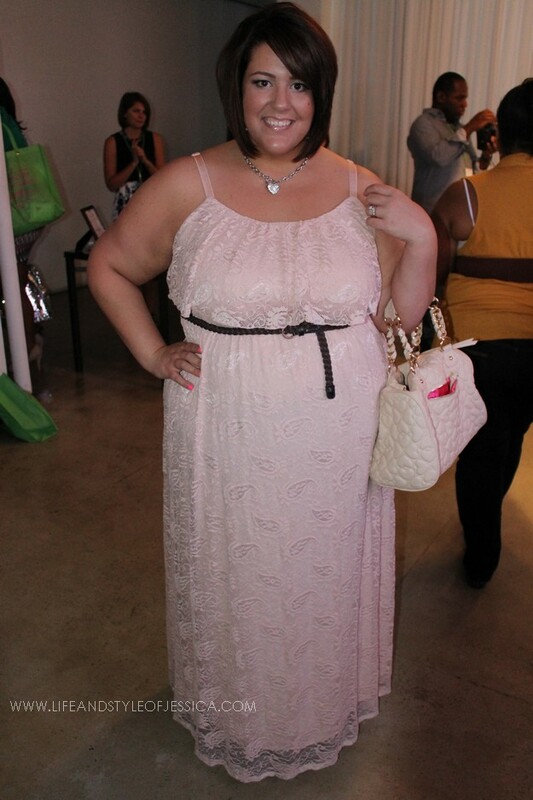 But when I saw this pink lace dress on the Torrid website, I saw potential, and man oh man did it NOT disappoint! I got stopped everywhere I went!!! Ladies loved this dress and I loved it too. So comfortable, so fem so luxurious. 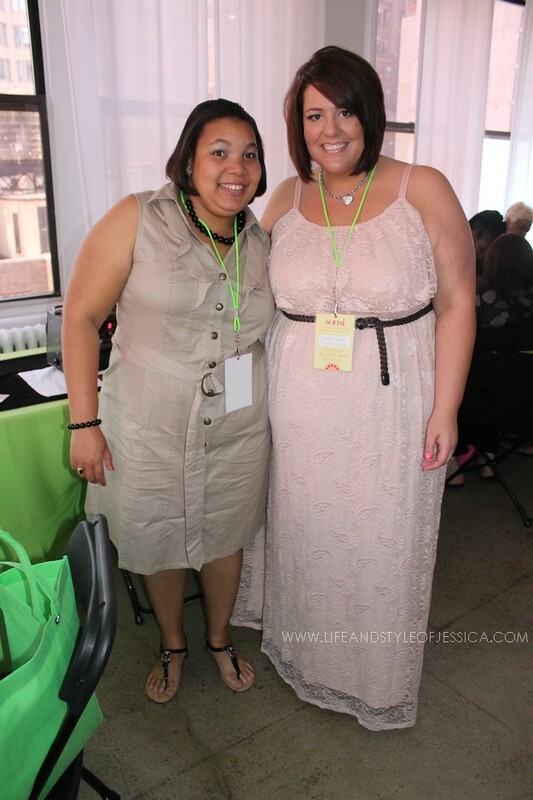 So I embraced my inner pink goddess to attend the Full Figured Fashion Week Sonsi Blogger party and here are the pics! Did I mention the belt comes WITH the dress?!! LOVE. 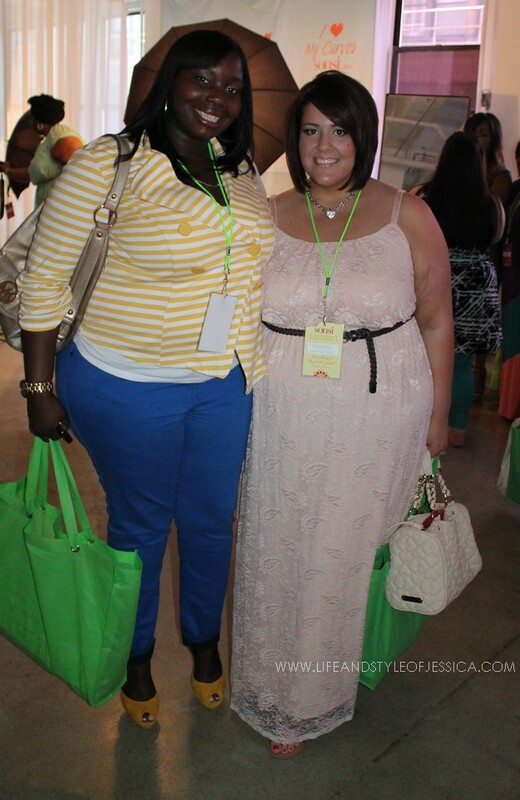 Thank you to Sonsi for hosting such a perfect blogger event! They had shopping, manicure stations, photos, makeup stations, yummy food and drinks being passed by butlers, music and great company! So honored to be invited, thank you! Loving my new 3/4 wispy lashes!! 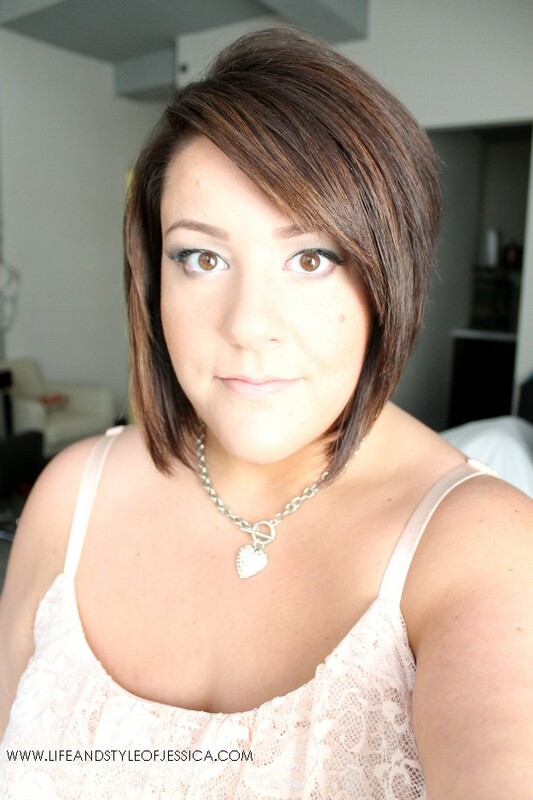 Genius for the daytime glam photo without looking too drag ;). 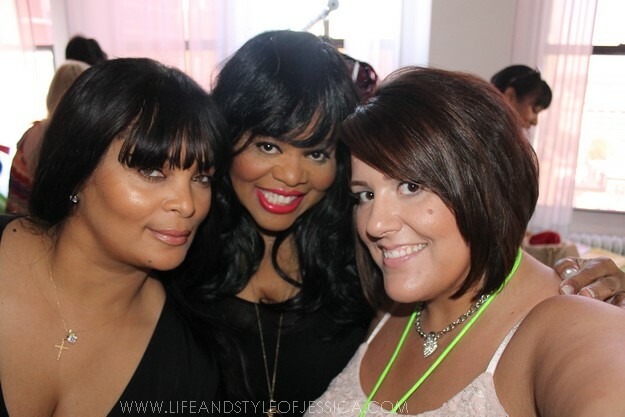 With stylist to the stars Susan Moses! 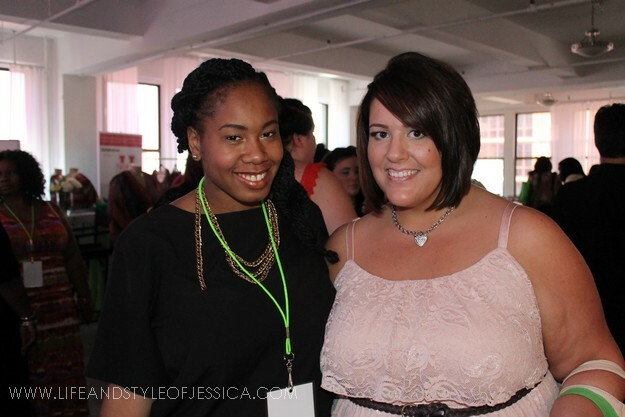 With Kelly Brown of Masque Mag -love this girl! Shaffone of Pretty Pear Bride! 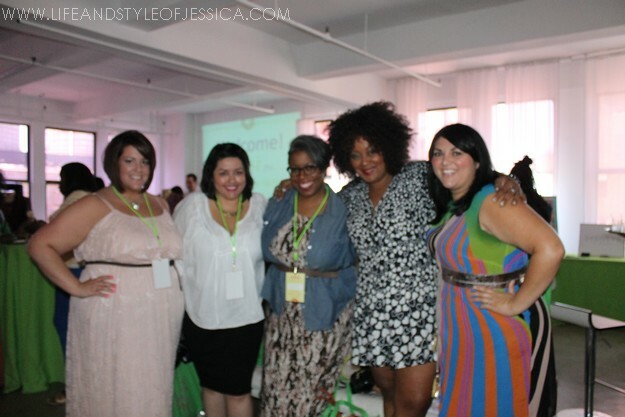 Blurry attempt at a group photo :) LOL From Left: me, Monique of Curves and Chaos, Ty of Gorgeous in Grey, Marie Denee of The Curvy Fashionista and Marcy Guevara of Hello Style's show Big Girl in a Skinny World for Marie Claire. 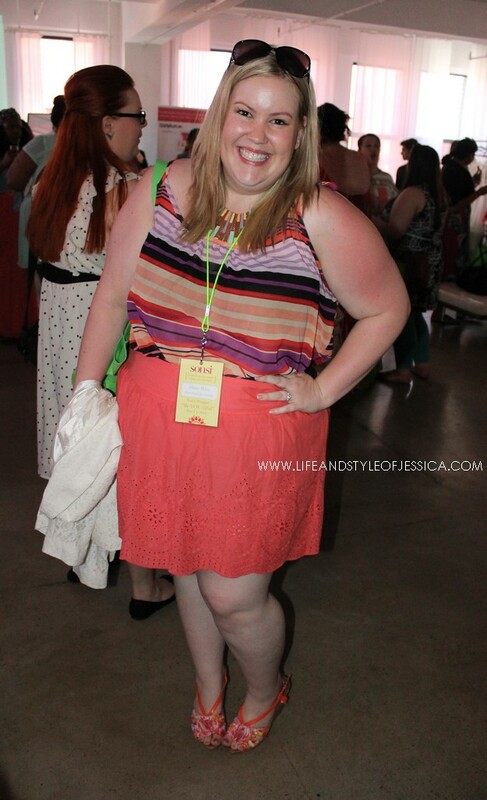 Head to toe - Torrid baby! 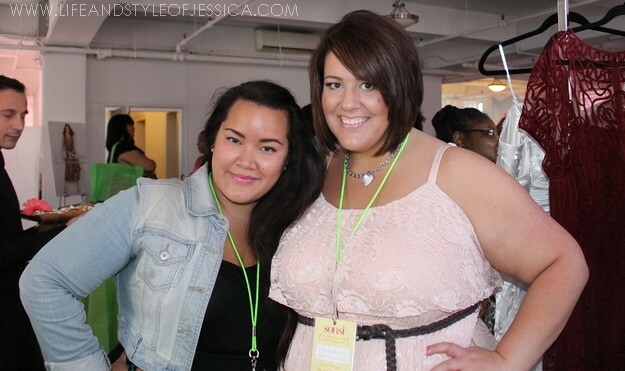 With Alissa of Stylish Curves!! This girl has MAD style! 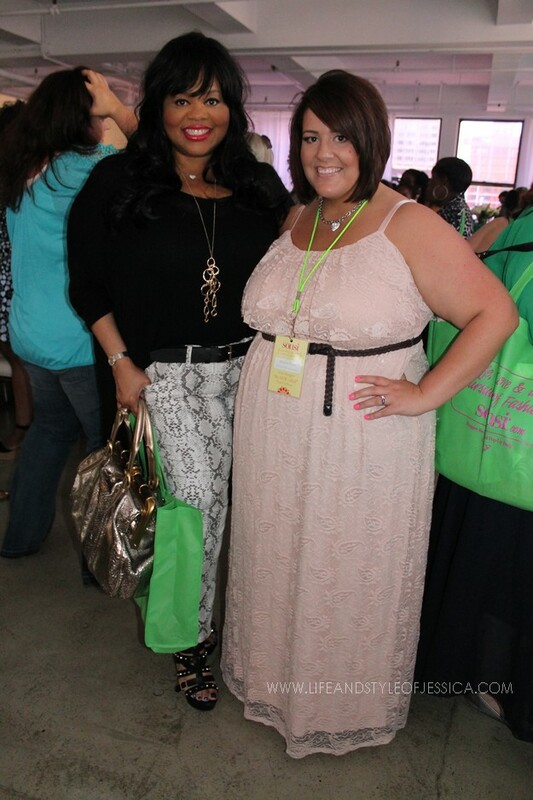 Thank you to Torrid for everything I'm wearing ... necklace, dress, shoes, bracelets, handbag! If you are loving any of these pieces, you can shop my special style picks page on Torrid.com at http://www.torrid.com/torrid/Collections/JessicaKanesNYFFFWPicks.jsp.